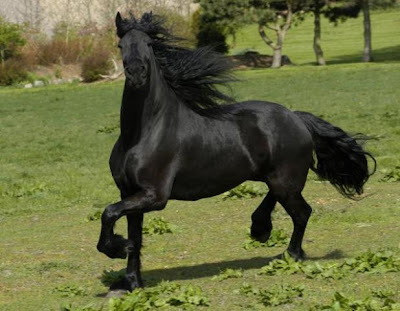 Okay so this is a friesian and the horse in my novel is an Irish cob. But I couldn't find a picture of an all black Irish cob so a Friesian it is. Of course the horse in my story may or may not be a púca, a type of shapeshifter, so close is good. I just passed 4,000 words on this freshly minted baby and I feel like the character in Stephen King's Tommyknockers. For those who haven't read it, she was a writer who had a 'special' connection with her typewriter. It wrote what she thought. Now wouldn't that be an awesome ability! The story is flowing so well that it feels like that. 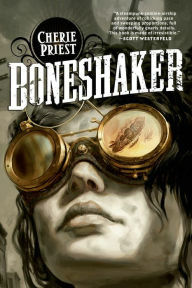 As you probably noticed from the link on my right sidebar, I'm still reading Blood Promise. It's really good, I just don't have much time to get to it. I need to because I have The Hunger Games lined up to read next and I'm really looking forward to it! The book that will soon be feeding my muse after that is Torment thanks the wonderful Mundie Moms who I won it from! 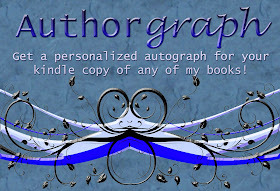 If you don't follow those fabulous book blogging ladies quick, click over and check them out! The music that has been feeding my muse this last week is The Battle of Stirling off the Braveheart soundtrack. What was your word count for the week? Or did you meet your editing goal? Are any of you participating in NaNoWriMo? Let me know and I'll cheer you along! I love Frisians! My mother actually has a half-Frisian colt, born from her Appaloosa mare earlier this year. They are both gorgeous breeds. I'm also a fan of the Irish Cob, but you're right... hard to find a solid black one. That's awesome that your story is flowing so well for you right now. Love that feeling. I'm not participating in NaNo, but I do have a goal this week to finish up through chapter three of my WIP. Working on chapter one today. So glad the words are flowing freely! Hooray. And that horse is such a beautiful creature! Lydia S, that sounds like a beautiful combination! I bet he's adorable. Best of luck on finishing through chapter three this week! Let me know if you make it. Thanks Lydia K, me too! He is beautiful isn't he? Horses have always inspired me. I'm revising my WIP right now, and it's slower going than I'd like, but forward movement is better than nothing! Forward movement is very good Jamie! I'd love to be able to write 2K a day like the people participating in NaNoWriMo but I just don't have the time. My motto is, a positive word count is a good word count, no matter how big! Thanks Brenda! Keep at it and I know you'll catch up! Thanks Shannon! I thought I'd do a bit of redecorating for the new season. Glad you like it! You're welcome Christy! You'll love the Mundie Moms. They're great ladies and give excellent book reviews. Bummer that you didn't make your write goal last week, neither did I. Here's hoping you make it and then some this week! Not participating in NaNo but I'm deep in the revision cave and hope to be finished with this phase by 12/31. The revision cave, I like that Karen, that's exactly how it feels! Best of luck finishing this year. You can do it! You're absolutely right Stina, it is the attempt and the goal that counts! Best of luck reaching it despite having a week away! That's right Karlene, I forgot about that! Have fun with the horses. Best of luck with the tournament and your editing goals! That photo is beautiful. And that Stephen King typewriter would be great. I remember that ancient John Candy movie where he played a soap opera writer in which anything he typed would come true. Sadly, one night he drank one two many. Son the next day, instead of his ship coming in -- his sheep came in! It would be pretty amazing wouldn't it Roland? I remember that John Candy movie too! That was a good one.